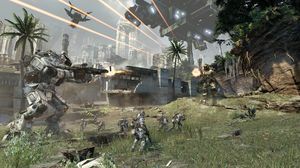 The first title from Infinity Ward defectors Respawn Entertainment, Titanfall has enjoyed the kind of hype reserved for few other games. Matt Burgess goes hands-on at the Tokyo Games Show, and speaks to Respawn community manager Abbie Heppe. Matt is a Gameplanet contributor. 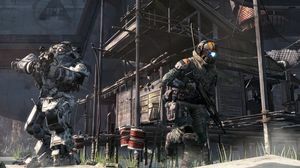 Titanfall is in development at Respawn Entertainment, a meaningful name for a company staffed by many former Infinity Ward employees. With experience as the creators of Call of Duty it might’ve have been easy to go ahead and clone that famous franchise. 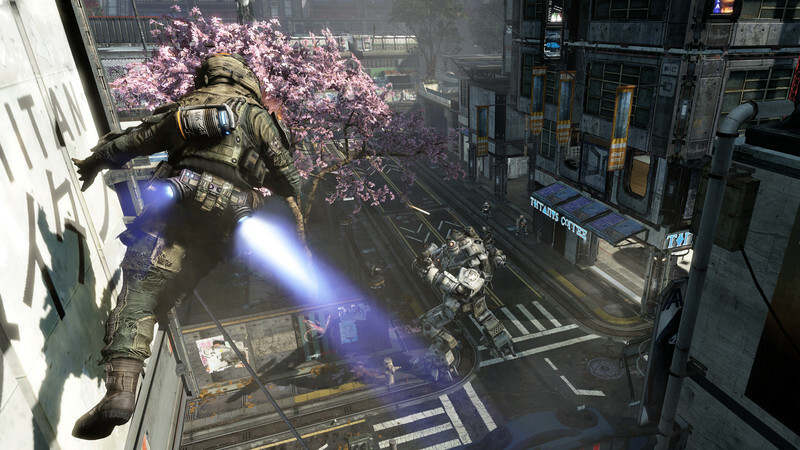 And yes, Respawn’s new game is a shooter, but it's also much more than that. Titanfall is one of those games that doesn't take a lot to understand: team-based combat, with some mechs thrown in for variety. 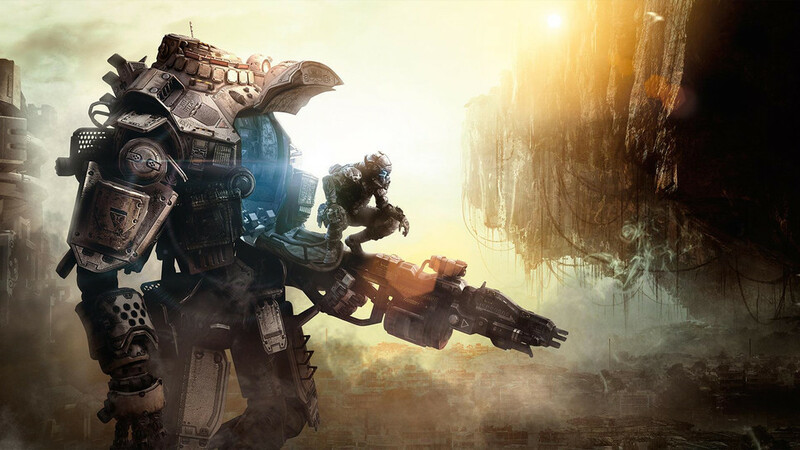 It's where Titanfall differs from expectations that it really excels. The initial assumption is to play it like a traditional shooter, then call down a mech from orbit to do some damage, and inevitably blow up. Rinse and repeat. But Titan pilots are able to do much more than run down corridors with guns. They have a double jump, a wall run, and they can grab and pull themselves up ledges. These skills have been cleverly combined with smart gameplay decisions - for example, hitting a wall and running along it resets your double jump - to ensure that players are nimble and able to take multiple paths around the level. The majority of levels can be crossed in full without even touching the ground, leaping from ledge to ledge, and bouncing between walls while running along them. Actually achieving this level of fluency is more of a challenge, but whether that’s a matter of poor design, or – more likely – sheer inexperience isn’t possible to determine this far out. On the ground there is plenty to do. The addition of NPC soldiers is another smart inclusion. It gives players something else to shoot at and keeps the action up. They are essentially cannon fodder, but welcome ones as they keep combat active and flowing, providing some distraction. 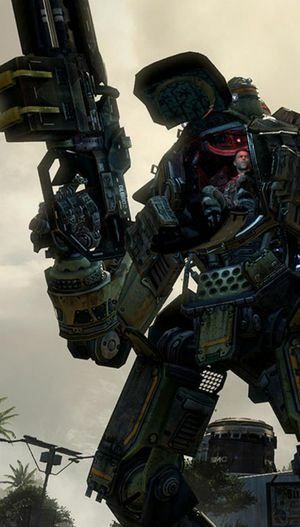 A game of Titanfall starts with choosing a role and a Titan. The role is essentially a choice between a shotgun-equipped close-quarters punisher, a standard rifle-wielding soldier, and the less clearly defined scout. The scout's weapon is a smart pistol, which seems poorly matched against a shotgun, but after locking on, all shots will track to the target, even around corners. Choosing a Titan currently is a choice between three options, but there is scope for a significant increase in the number of available Titans either before launch or gradually after. Titans have two basic postures, essentially a choice between defensive and offensive. For example, the Titan I played with fired a quad rocket launcher, while also laying down a damaging "electrical smoke" that obscured view and crippled the guidance systems of enemy Titans stuck in it. Another Titan has a heavy machine gun, and a kinetic shield that when activated simply traps incoming projectiles and then launches them back at the attacker. The Titans aren't just a temporary power boost, either. Once summoned, the player can get in and out of them at will, and they can be given commands to follow, attack, and so on, operating independently as another unit. Keeping them alive and in the fight is the real challenge. Possibly the smartest innovation, and one which has garnered a great deal of attention, is the inclusion of an "epilogue". Instead of just declaring the winner and loser, the game goes into a sort of "sudden death" mode, where the losing team has to try and withdraw. Heading to their dropship in a free-for-all, the losing team attempts to escape the field with their dignity (and bonus experience points) intact, while the winners try and drive home their victory by cutting off retreat. Like all the best ideas it's a simple one, and it's well implemented here. Balance was always going to be a concern in a game where humans are put up against giant mechanical monsters, and much effort has gone in here. “It's very fast, you have to be able to escape,” continued Heppe. “We really wanted to get this core cat and mouse gameplay, it was very important to our design team. It was one of our core goals from the very beginning. The field is also levelled by the mobility of the pilots, and also by the ordinance they carry. Each pilot class has a weapon specific to taking down Titans. They aren't on the order of the Titans’ own weapons, but they're handy in a pinch and can at least help pile some damage on. Titanfall still has plenty of time left to bake. It has no more defined release window than 2014. That time will undoubtedly see some fine-tuning and additional content, but already Titanfall is a unique pleasure, and one that will only get better with time.